Students in the Department of Art students will be required to own a laptop as specified by each BFA program. Laptops are a required material for all majors in Computer Animation, Graphic Design, Photography and Studio Art. Laptops will be required to complete assignments in WASH, Foundations in Digital Art, and all Computer Animation, Graphic Design and Photography courses. Macintosh Laptops are strongly recommended. Other laptops that meet the specifications of the Macbooks listed must be able to run listed software used in each program. Students who do not use Macbooks will be responsible for their own troubleshooting if their laptops are incompatible with software or equipment used in the Department of Art. *Students must complete the financial aid application process and qualify for financial aid. Contact Financial Aid for details. The personal computer is an indispensable tool in the creation of art and design. While we understand the expense our laptop requirement creates, the benefits of having around the clock access to your own digital studio are well worth the investment. Working around lab and class schedules doesn't always provide the best time for students to work. If inspiration hits at 2am or over Spring break, having access to your studio is invaluable. We are confident that our students will produce more work, better work, and spend more time being creative. Macintosh computers have long been the industry standard in design, photography and fine art studios everywhere. We feel strongly that experience with this environment will greatly benefit our students as they prepare to enter the world of art and design. Apple computers are well made and frequently remain in use for several years, making them a valuable and dependable investment. Macs have excellent displays and render images and typography of very high quality. Exchanging files, managing fonts, printing, and other routine tasks are generally handled well by Macintosh systems. This consistent computing environment makes teaching easier and avoids the difficulties of supporting multiple systems and software. Where to get your Mac and software? The Apple education store offers reduced prices for students. In addition, Apple frequently offers promotions that include gift cards or other bonus items, especially during summer or early fall. Please note that these special discounts are only available to SHSU students, faculty, and staff. If you meet this requirement, click the following link and log in with your SHSU username and password. Students are also encouraged to purchase Applecare protection for their Macintosh Laptop. Applecare covers unforeseen accidents or technical problems after the initial warranty. Laptop repairs can be expensive, and Apple's protection plan is usually effective and quick. SHSU provides free access to the Creative Cloud software for students enrolled in Art courses. Students may install the software on one personal/unmamanaged (not owned by SHSU) computer. What laptop to get for your program? The first step is knowing which degree program to pursue and what the minimum hardware and software requirements are for that program. Recommended systems are listed below. When purchasing software be sure to specify the Macintosh version. Packaging and online ordering can sometimes be confusing, and accidentally ordering the Windows version will create an avoidable hassle. 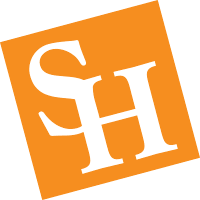 While the above represents the minimum set of specifications required by the Computer Animation Program at SHSU, upgrading the laptop’s processor will allow the computer to complete more tasks more quickly, and will generally provide a computer that will remain professionally usable for a longer period of time. Digital creative work can often require significant storage. Though you may choose to upgrade the laptop’s storage, purchasing a Mac compatible external hard-drive would provide a more economical solution for this need. Autodesk Maya- Maya is available for free download to currently registered students at students.autodesk.com. While the above represents the minimum set of specifications required by the Photography Program at SHSU, we recommend that students strongly consider upgrading their Mac laptop. Upgrades such as a 15-inch display, increased storage, and increased memory will offer a superior user experience. Digital creative work can often require significant storage capacity, quickly filling storage devices of 128 GB or greater. In addition, increasing your laptop’s memory will allow the computer to complete more tasks more quickly. Finally, investing a bit more initially will generally provide a computer that will remain professionally usable for a longer period of time. While the above represents the minimum set of specifications required by the Graphic Design Program at SHSU, we recommend that students strongly consider upgrading their Mac laptop. Upgrades such as a 15-inch display, increased storage, and increased memory will offer a superior user experience. Digital creative work can often require significant storage capacity, quickly filling storage devices of 256 GB or greater. In addition, increasing your laptop’s memory will allow the computer to complete more tasks more quickly. Finally, investing a bit more initially will generally provide a computer that will remain professionally usable for a longer period of time. While the above represents the minimum set of specifications required by the Studio Art Program at SHSU, we recommend that students strongly consider upgrading their Mac laptop. Upgrades such as a 15-inch display, increased storage, and increased memory will offer a superior user experience. Digital creative work can often require significant storage capacity, quickly filling storage devices of 128 GB or greater. In addition, increasing your laptop’s memory will allow the computer to complete more tasks more quickly. Finally, investing a bit more initially will generally provide a computer that will remain professionally usable for a longer period of time. Financial Aid may adjust funding for qualified Art students for the purchase of required hardware and software if the student has been awarded up to their budget. Keep in mind that financial aid is not guaranteed to students simply because they are Art students, you must qualify! Please contact Financial Aid for more information. One time Cost of Attendance adjustment may be available to qualified financial aid students. Increasing the Cost of Attendance may not increase a student's award package or eligibility. Additional funding will likely be through a loan program, either a Federal Direct loan or an Alternative loan. Students must have applied for Federal student aid and have been awarded aid at SHSU for the semester. Students must maintain academic eligibility for financial aid. Students should print out their desired Mac and software specs with pricing. Financial Aid will provide a Cost of Attendance Adjustment Request form for student use. Students need proof that they are in a program that requires a Mac. Students must visit Financial Aid with the required documentation to discuss available funding options. To request financial aid support for the purchase of your Apple laptop and Adobe software,request a Cost of Attendance Adjustment Request form from the Financial Aid Office. Submit the completed form along with cost estimates for your desired Apple laptop and Adobe software to the SHSU Financial Aid Office. Printouts from the Apple Store and software vendor website's are acceptable as estimates. Questions about the laptop requirement?